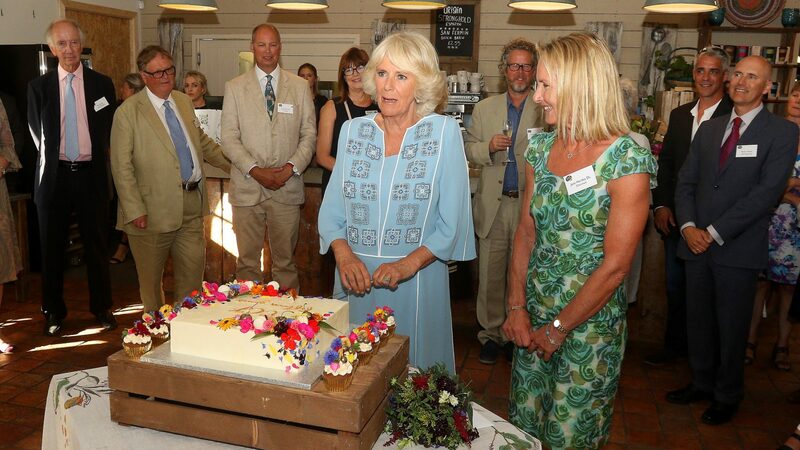 A special reception to mark the 15th anniversary of Cornwall Community Foundation (CCF) was held at the Duchy of Cornwall Nurseries, Lostwithiel and attended by HRH The Duchess of Cornwall, who is Patron of the Foundation. 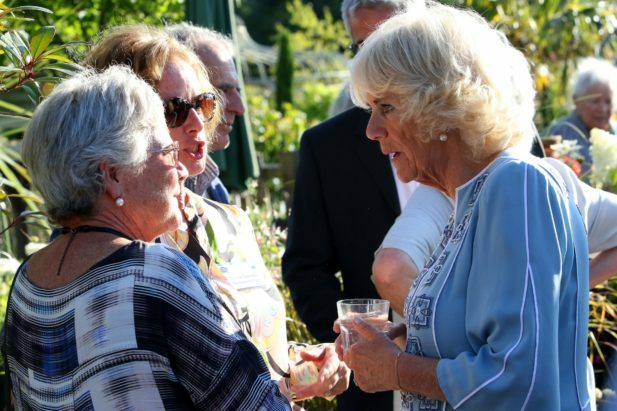 Welcomed by Jane Hartley DL, Chairman of CCF, The Duchess met donors, trustees and staff, together with six community groups who have received grants from the Foundation in the last year. 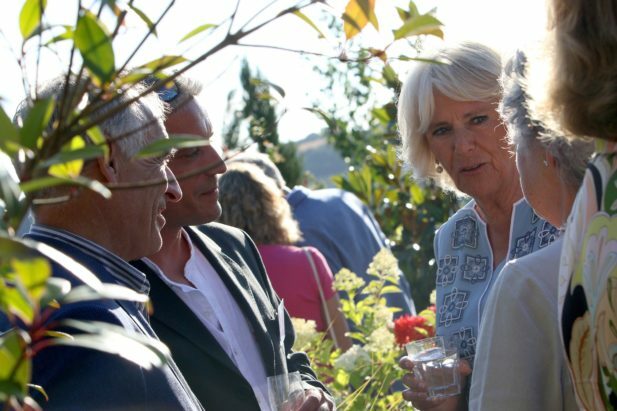 CCF was established in 2003 by the late Lady Mary Holborow DCVO. Since 2003, the Foundation has awarded more than £7.5 million to Cornish communities, supporting 4,400 local, grass-roots projects. In 2017 alone, £575,000 was awarded in grants to strengthen communities in Cornwall and the Isles of Scilly. 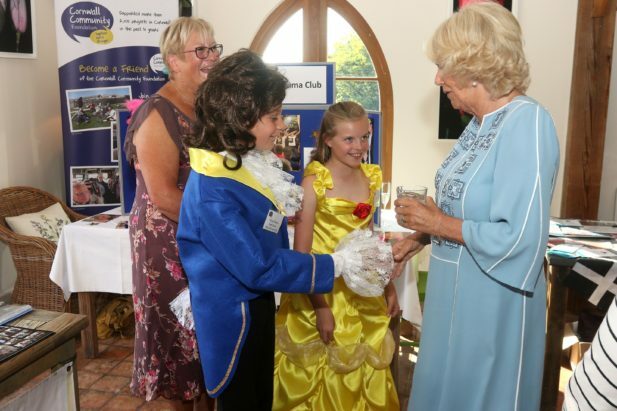 The aim of the Foundation is simple, it brings together people who want to help Cornish communities with projects that make a real difference. Six community groups, who have all been supported with grants from CCF, showcased their work and explained the difference they make to people in the communities in which they operate. 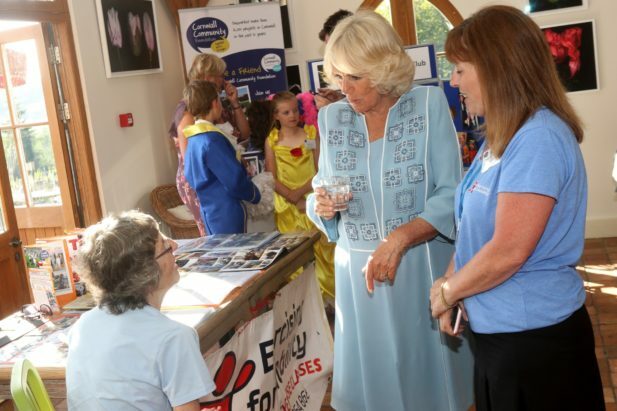 The groups who attended were Bright Sparks Music and Drama Club, Cornwall Life Recycle, Dracaena Centre, Exercising for Mobility, Godolphin Cross Community Association and Transformation CPR.